You are here: Home / Disney World Trip Planning / What is the Best Age to Take Kids to Disney World? When it comes to deciding on the perfect age to take kids to Disney World, the answer varies — depending on who you talk to. That’s because there’s a lot of different opinions and factors to take into consideration—chief among them the fact that not all kids mature at the same right. So, how do you know what the best age to take your kids to Disney World is? 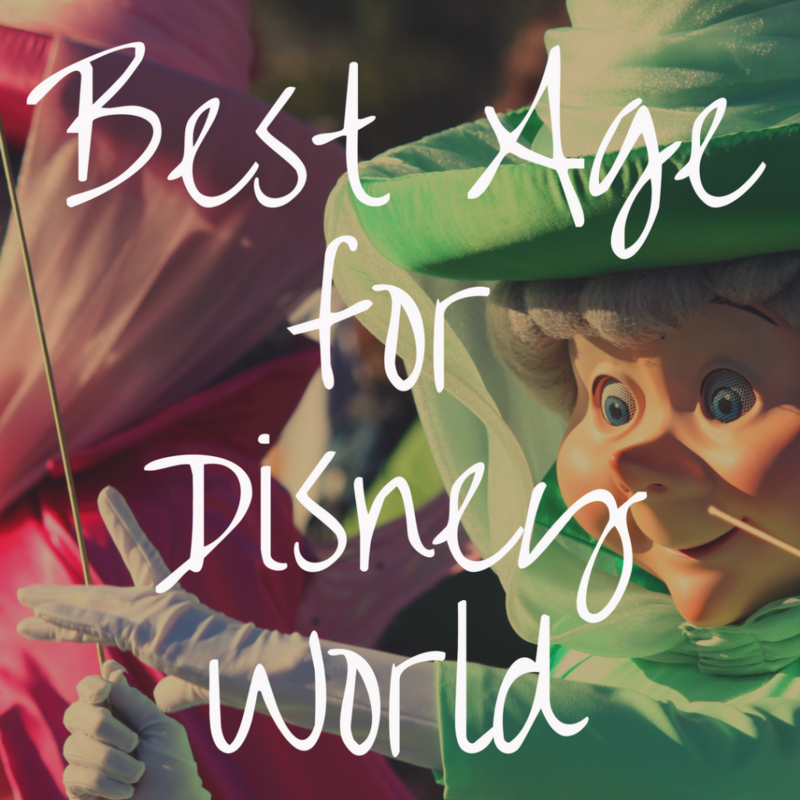 In today’s article, we’ll take a look at a handful of key things to think about when deciding what age works best for the kiddos in your group when it comes to being able to enjoy Disney World. If you’re visiting Disney World on a budget, or just want to consider affordable park touring options, you’ll want to look at the different prices Disney charges guests for tickets and dining options based on age. Park Tickets: Disney parks tickets are tiered based on ages. For infants ages 0 to 2 years of age, admission to the Disney Parks and Resorts is free. Pretty great, right? This is partially because there are limited attractions and experiences children under the age of 3 can experience. For children ages 3 to 9 years, expect to pay the child rate for tickets, which are slightly cheaper than tickets for adults or children over the age of 9 years old. Children are considered “adults” at Disney World for ticket prices when they are 10 years old or older, which means prices for tickets for them will be higher. Disney Dining: The same pricing structure applies to Disney dining. If you dine at any of the Disney World quick service and table service dining locations, or are on the Disney Dining Plan, there are several age ranges to think about. Children under the age of 3 are not eligible for the Disney Dining Plan — typically due to the lack of food a child at that age will eat.But, you can purchase separate food items for them at a quick service or table service location. Or, if you prefer, you can have them share your food. Disney policy does allow children under the age of 3 to eat food from a parent’s meal. 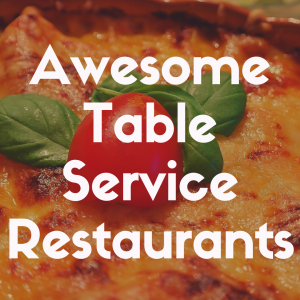 This includes quick service and table service dining locations, including buffets. If you go to a restaurant, you may be asked to purchase any requested beverages for your child.But, otherwise, they can eat technically for free by sharing your meal. If you have a child between the ages of 3 to 9, they are considered children on the Disney Dining Plan. This means, they must order from the children’s menu if a restaurant has them. But, Disney does not usually note any differences between dining credits for children or adults. So, there may be some flexibility on menus and ordering options if your kiddos want something from the adult menu. If you have a child ages 10 or older, they will be considered an adult on the Disney Dining Plan — though you could easily order kids’ meals still at a quick service dining location. Resort Stays: When it comes to staying in Disney resorts or non-Disney resort or hotels, prices can vary for children to stay in a hotel room. 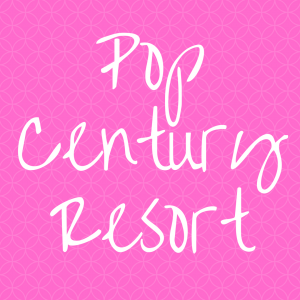 In general, Disney will charge additional costs per night for more than 2 adults in the room. So, you’ll want to check with Disney’s current prices for Disney resorts when it comes to adding children to your stay. The same will apply to non-Disney resorts too. If you’re concerned about pricing, consider getting a family suite or family villa wherever you are staying. As you can see, there are some cost savings for children visiting Disney World, depending on their age. If you have a young child, like an infant or toddler, you’ll be able to bring your child into the Disney Parks for free, and you’ll save money on food too, since children ages 3 and under can share food with their parents. Your best bet for an affordable age for children based on ticket prices, dining options, and other cost considerations is children ages 3 to 9. But, cost isn’t everything. Let’s take a look at some other factors to help you decide the best age to take your child to Disney. Another important factor is how active you and your children are. If they are not used to a lot of walking or physical activity — especially younger children, you may want to wait until they are a bit older. Or, if you do visit, take more frequent breaks or visit the theme parks for shorter periods of time to help keep everyone comfortable and having a good time. 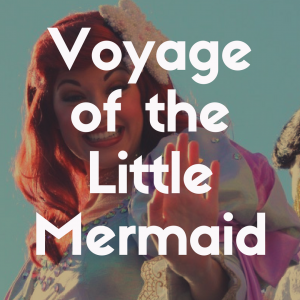 Kids can react differently to going on vacation and experiencing the theme parks. Definitely consider whether your child is able to handle loud noises and crowds — or even being around strangers. Some children, even younger children, do well in theme park environments, while others do not. So, do consider how your child tolerates these things. If they are a bit more nervous or cautious, you may want to think about taking them to Disney when they are a bit older. If your child has a specific schedule they are on, you’ll want to make sure you keep that in mind too. This means, if they need a nap or have to eat at a certain time, you’ve planned this into your schedule. This is especially true when considering Disney World for preschoolers or children just a bit older. If your child has any other special needs, you can also utilize Disney’s Disability Access Service card, which can assist those children who may have specific needs. One important factor that can make or break when you take your child to Disney World is school. If your child or children are in school, this may impact when you can visit the Disney Parks and Resorts. Typically, when school is in session, especially in the U.S., you’ll find the vacation rates and crowds to be the lowest. And, as you can expect, when schools are not in session (for spring break, holiday break, or summer vacation), the crowds and vacation rates are much higher. So, if traveling on a budget is important to you, you may want to consider taking school age children out of school for vacation. But, this brings up another important point — schoolwork. If you have a child who is in school, and you choose to take a vacation while school is in session, you’ll want to make sure they have the time they need to get work done. 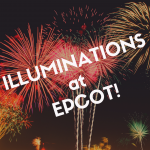 One of the most important factors to consider are Disney attractions. You want your children to enjoy their visit to Disney World. 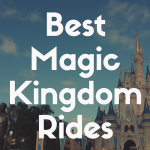 And, one of the best ways to experience all that Disney has to offer is riding attractions. ut, you’ll want to think about some important considerations that may affect your child’s ability to go on certain attractions. If you find that a child is too young, too short, or scares easily, you may want to wait until they are a bit older to take them to Disney World or on certain attractions. Here are some specific factors to think about. Height Requirements: Some Disney attractions have specific height requirements for safety reasons. These height requirements can range from 32 inches tall to 48 inches tall in order to ride. Attractions with height requirements do have height indicators outside of the ride that you can use to help decide if your child is tall enough to ride. If your child has their heart set on riding a lot of rides but may not be tall enough yet, you may want to consider taking them to another park where they can enjoy more attractions or wait to visit Disney when they are a bit older and taller. If you have a toddler with you, the best Disney Park for toddlers has to be the Magic Kingdom. This is because there’s plenty of kid friendly attractions that don’t have major height requirements. Scare Factor: There are some Disney attractions that may be scary for some children. If you think your kiddo will scare easily on a lot of attractions, it may be a good idea to hold off on vacationing to Disney World. Some attractions, like It’s Tough to Be a Bug at Disney’s Animal Kingdom theme park, seem child friendly but are notorious for being quite scary for children ages 10 and under — especially for those a bit younger. Wait Times: Consider how long your child can comfortably wait in a ride queue. If your child has a hard time waiting in lines, you may want to maximize your use of Fastpass+ or wait until they are a bit older and have a bit more tolerance for waiting in lines. Costumed Characters: Believe it or not, some children can be very afraid of costumed Disney characters. If you find that your child is a bit scared of them, you’ll want to avoid character experiences or wait until they are bit older so they can enjoy meeting their favorite characters in person. Outside vs Inside: Florida weather can be brutal and hard to tolerate at any age. If you have a younger child, you may want to avoid going to Disney in the summer or spend a lot of time on outside attractions. Some children can handle rides that are inside much easier too. In general, think about how well your child does outside or inside and how well they handle hot weather. Different Parks: There’s no doubt that some parks are better than others for children. If you’re visiting Disney with younger children, stick to the Magic Kingdom or Animal Kingdom. Both of these parks have lots of young child friendly attractions and experiences. 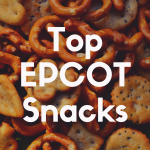 Epcot, in general, is not recommended for children under the age of 8 because most of the experiences are geared towards adults or older children. Hollywood Studios is also home to several thrill rides. So, it’s a better park for kids ages 10 and older. If it’s important for your kiddos to experience all 4 theme parks on one trip, you’ll definitely want to wait until they are older to visit. Disney World is a magical place. And, it’s a place where you can build memories to last a lifetime. But, age can matter when it comes to remembering a Disney trip. If a child is younger, there’s a good chance that they won’t remember much of their Disney vacation. Older children will have a better chance of remembering experiences. If it’s really important for you as a parent to have your child remember specific vacation experiences, you may want to consider vacationing at Disney when your child is a bit older. Of course, taking lots of photos and video can help relive those vacation memories for the whole family. While we can’t tell you a specific age that the best age to take kids to Disney World, we can give you an idea of things to consider to help you decide if your child is ready for a Disney vacation or not. By taking into consideration cost, child behaviors, school closures, and Disney attractions, you’ll be able to decide the perfect age for a Disney vacation for your child. In general, ages 8 and older seem to be the most popular ages for kids visiting Disney World for rides, experiences, and overall experiences for parents and kids alike. Of course, no matter when you decide to bring your child to Disney, you’ll be sure to have a magical family vacation experience.